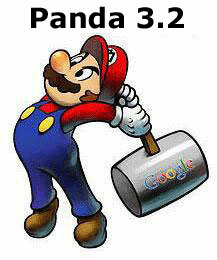 It has been over 9 weeks since we had an official Google Panda update. Now I am seeing some chatter in the forums of a possible sign that Google had updated the Panda algorithm and pushed a new one out - this would be version 3.2 or higher. Yeah, some movement on one of my pandalized subdomains. Not for sure until the stats settle, but it looks like on the 19th of January Google "accidentally" gave back the traffic they took on February 24th, 2011. An increase in traffic of about 80%! 40% traffic increase for me today, not sure if it is thanks to hundreds of small changes made on my website or some one big lucky change in algo. There is always a bunch of Panda rumors floating around, but it seems like there was an uptick recently in that discussion. Of course, this doesn't mean it was a Panda update - but in this case, I am thinking it might be. There was a rumored Panda 3.2 update during the holiday season but Google never confirmed it. Matt Cutts is in India now, so I am not sure if we will see a confirmation or not from him until much later.